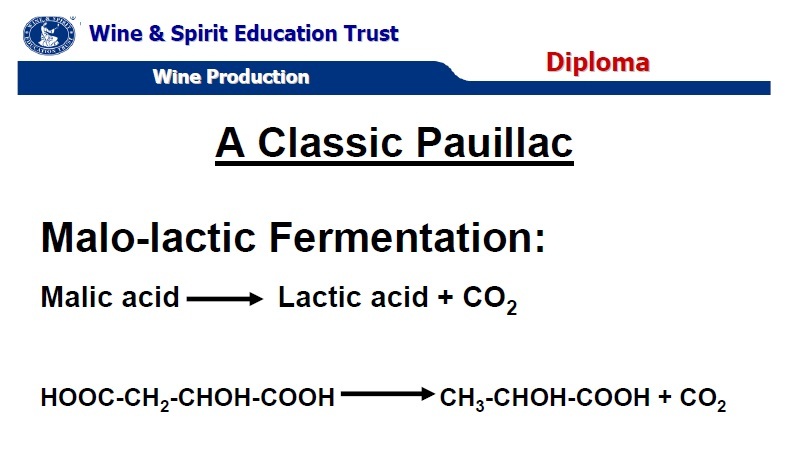 Day three of the diploma focused almost entirely on wine making techniques (or, for those in the know, vinification). I don't know if it's because I personally tend to be more of a chemist than a geologist / biologist, or simply because thanks to Day Two I was ready for a devilish level of detail, but I found this lecture surprisingly comfortable. Here's an example slide from the session (which I hope I don't get in trouble for sharing). I think it's worth preparing yourself for this kind of content which, lets face it, is straight-forward chemistry. 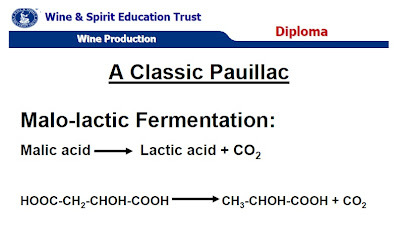 Certainly these subjects are covered in almost infinitely more detail than was the case in Level Three (or the WSET Advanced, as it was when I sat it). Having taken my own advice from the previous week, I made sure that I had spent some time reading through the subject prior to the lecture, and this was enormously helpful. A word to the wise here: although it felt like I was assimilating this information well at the time, recalling it the following week was quite another matter. I went online and had my first attempt the the Unit 2 mock exam, and my performance was not quite what I had hoped! Thankfully, having done this early, there is still plenty of time for revision. 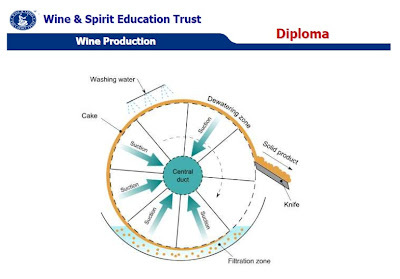 The WSET advise approximately 50 hours should be spent on this module outside of the classroom, and they're not kidding. During the afternoon we had to opportunity to practice the blind tasting element of the examination process. We were presented three wines (all white, coincidentally), and given thirty minutes to work through the SAT (Standardized Approach to Tasting). It sounds like a long time, but it isn't. Very few people had finished much more than a couple of minutes inside the deadline. I can't tell you how I got on, as the papers were taken away for marking and feedback will be given in the coming weeks*. This is also extremely useful. It's worth remembering that the WSET are in the business of educating people, not just scaring them with difficult tests. They will do all they can to help you through but, ultimately it is up to the student to put in the hours. In terms of what is required for Day Three, again I survived with just my Unit 2 handbook, the SAT, and six glasses. Will, Thanks for taking the time to Blog about WSET,. I,m the course starting in March. Found your notes on the Vini day really helpful as I missed that lecture (had the option of going to Chianti instead!) I am based in Cambs so if you decide to to tours of the distillery let me know. Thanks for the comment, and you're very welcome. The distillery is open for business now, so feel free to get in touch to have your own bottle made!